Enjoyed every minute at the property. Nice inside and out, clean, comfortable! We loved everything!! The place, the staff and the location. Highly recommended. It’s right next to the dock, you can have your private access to dock, loved it!! Very family oriented. The facilities were amazingly beautiful. The staff were extra friendly and very helpful with our excursion planning. Aaron the manager was incredibly nice and helped us with everything we needed. The size of the villas was incredible and very clean. The spacious units and grounds, very good for kids. The large bedrooms were very fine. It was away from the noise of the town, but transportation on tuk - tuk was easy and we could get delivery of dinner from a good restaurant. The staff were very welcoming & helpful. Aaron checked in before we arrived to see how he could be helpful. The villa was gorgeous, very spacious, and had a great kitchen to make meals. The views are wonderful. The location is a bit out of town, so it’s quiet and peaceful. But it is also an easy walk along the shore or a quick tuk-tuk ride. Everything was excellent. Staff made sure that our stay was as comfortable as possible, specially Aaron. The location of the villas are in a tranquil area next to the beautiful lake. The architecture of the villas is outstanding with local touch furniture and with modern huge glass windows. The location was about 10-15 min walk to calle Santander crossing a river by a wooden pedestrian bridge, or you can go by tuktuk for less than $1. They even provided a convenience pack with coffee, sugar, olive oil, detergent, etc! Service was impeccable. The property was gorgeous and the villas were perfect for a short or a long stay. Aaron the property manager was very helpful, he was available every time i needed him. He was also very helpful in giving us a detailed guidance throughout our stay, like where to go and how much to pay for each activity, he even booked everything for us in advance. Overall i give Aaron 10/10! 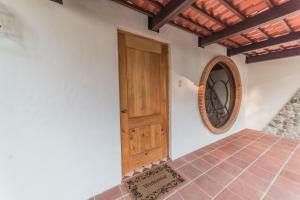 Lock in a great price for Villas Jucanya – rated 9.2 by recent guests! 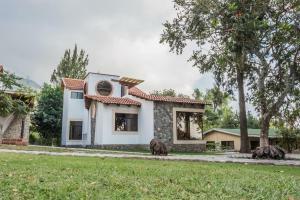 Offering a garden, Villas Jucanya offers accommodations in Panajachel. Antigua Guatemala is 30 mi away. Featuring a terrace with lagoon views and country-style décor, the villa features a dining area and seating area. There is a kitchen equipped with an oven and microwave, and a private bathroom with a bath or shower and free toiletries. Bed linen is available. Villas Jucanya also includes a barbecue. The property also offers grocery delivery. 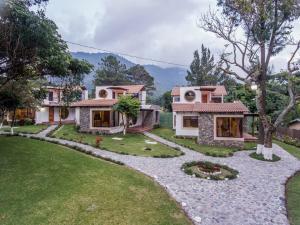 Quetzaltenango is 25 mi from Villas Jucanya. When would you like to stay at Villas Jucanya? This villa features a terrace with lagoon views, a kitchen and private entrance. 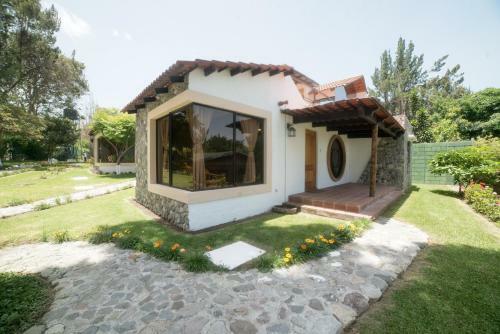 It also features country-style décor with wood, stone and thatch. 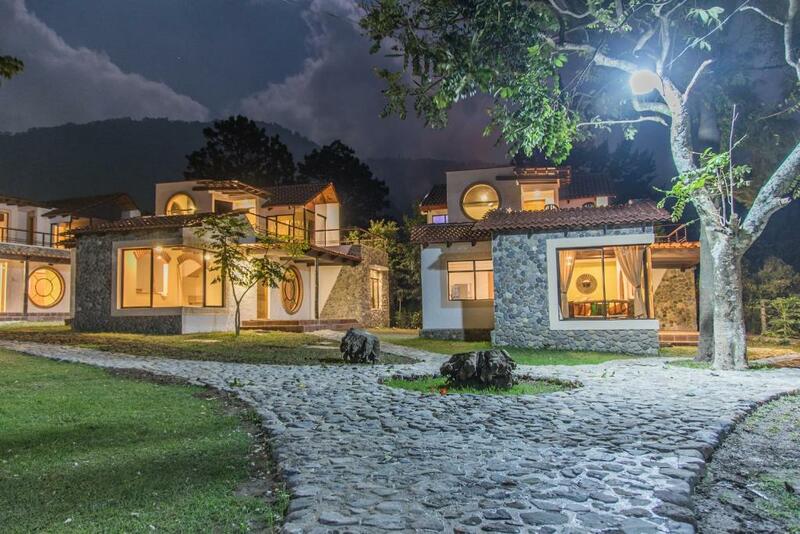 Jucanya Villas is a set of 6 new country houses within the same property, located in front of the most beautiful lake in the world, Lake Atitlan in Panajachel, Solola, Guatemala. 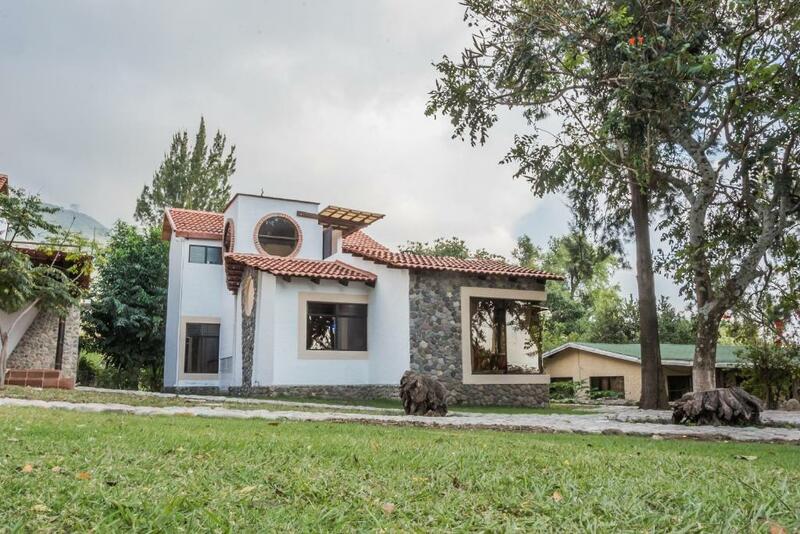 We have a large garden where you can have very nice time and the proximity of Lake Atitlan to enjoy a spectacular view of three volcanoes that surround the lake, mountains and many green areas. 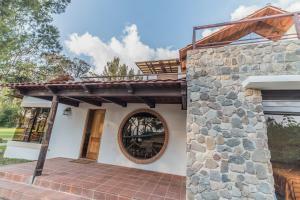 Each villa has 3 bedrooms which will be made available according to the number of guests booking. Facing the Villas can take boats (small boats) that will take you for a ride through the villages around the Lake, villages such as Santiago, San Antonio, San Pedro, San Lucas, San Marcos, Santa Cruz and others where you can learn about different cultures around Lake Atitlan. I am a familiar but adventurous person, I like to travel in comfort and visit cute, comfortable and over all clean places. I also like to receive other people, be a good host and make them feel comfortable, as if they were at home. Provide necessary so they can enjoy an unforgettable holiday or business travel. Jucanya neighborhood is one of the residential neighborhoods of Panajachel, Solola, Guatemala and is located on Lake Atitlan. It is a quiet neighborhood, 15 minutes walking to the town of Panajachel where you will find all kinds of restaurants, shops, typical stores, pharmacies, supermarkets and all kinds of items for our guests. In Panajachel there are small transport called Tuc Tuc (3 small cart wheels) and for Q5 (quetzales) takes you from one place to another and are also available in the neighborhood Jucanya used. 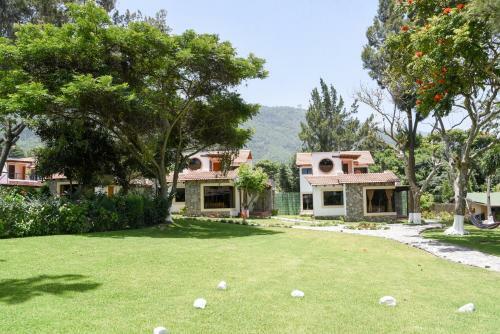 This neighborhood has an excellent location to stay because it is not within the bustle of the town but is very close to everything in a quiet area to relax and enjoy. House Rules Villas Jucanya takes special requests – add in the next step! A GTQ500 damage deposit is required on arrival (around USD65.55). This deposit will be fully refunded at check-out, as long as there isn't any damage to the property. Villas Jucanya accepts these cards and reserves the right to temporarily hold an amount prior to arrival. Please note that a refundable deposit will be charged in case of any damage. A damage deposit of GTQ 500 is required on arrival. That's about 65.55USD. This will be collected as a cash payment. You should be reimbursed on check-out. Your deposit will be refunded in full, in cash, subject to an inspection of the property. Please inform Villas Jucanya of your expected arrival time in advance. You can use the Special Requests box when booking, or contact the property directly using the contact details in your confirmation. The quiet, the beauty of the location. there was no gas in our house and therefore no hot water. It was solved in a few minutes but made it uncomfortable for the ones that had to take a shower with cold water. 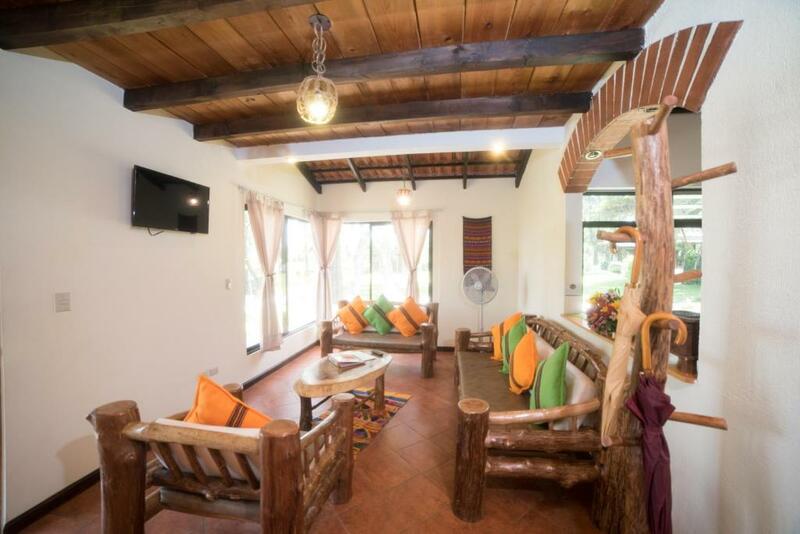 The houses are beautiful, comfortable and clean; beds and furniture are OK; garden area gives a relaxing ambiance. It is an excellent place for familiy trips. I recommend it and will come back. They were extremely helpful and booked tours, shuttles and even food delivery for us. It was a bit hard to find when driving there initially. Some more clear directions would have been helpful and saved us about 10 minutes and 2 phone calls.